A little over a year ago, Detective Comics (DC) and Warner Brothers showcased “Justice League” directed by Zack Snyder. That was the first time that anyone had seen their adaptation of Aquaman, played by Jason Momoa. In that first appearance Momoa’s Aquaman showed a strong man with a tough exterior, but once under Wonder Woman’s (played by Gal Gadot) lasso, Aquaman seemed to have a softer side, full of light-hearted jokes and joy. 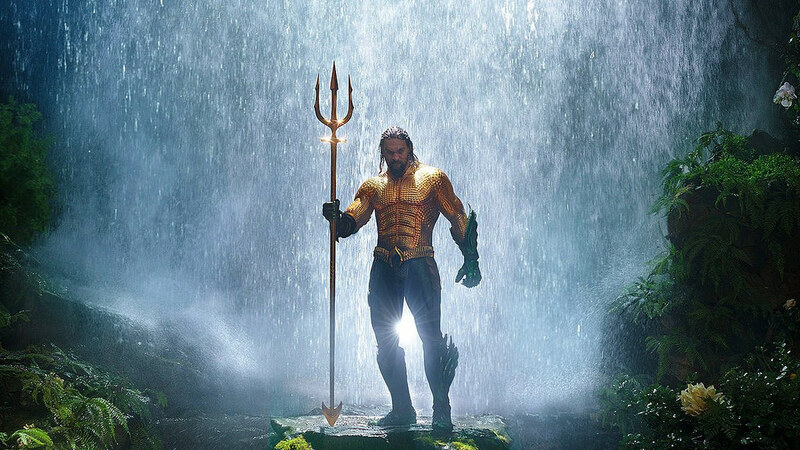 Luckily, this is the same Aquaman that audiences saw in director James Wan’s adaptation of the film, released on Dec. 21. In this background story of the character Aquaman, it is learned that his real name is Arthur Curry and is the son of a lighthouse keeper and the queen of Atlantis. Although Arthur grows up on land, he is eventually called back to the sea to take his rightful place as King of Atlantis after he has done some good deeds of saving ships and submarines that are in trouble and he brings them and their sailors safely to shore. Arthur treats this challenge as something trivial that he jokes about. He doesn’t treat it as a real responsibility. To balance this childish side of him was Mera, played by Amber Heard. Mera’s personality balances Arthur’s, in the way he is curious about Atlantis, she is curious about land. Where Arthur is stubborn and childish, Mera is responsible and focused. Mera was a princess of one of the kingdoms of Atlantis and along with her royal bloodline she carried some special powers with her. She could move water at her own will. Unfortunately, her powers, how she got them, what they were, and the extent of what they did were never actually explained in the film at all. Mera tells Arthur what he must do in order to save Atlantis and take place as king over his half-brother, the Ocean Master, played by Patrick Wilson. One of the most encapsulating parts of the movie was the action scenes. Both underwater and on land, Wan made sure that the action shots were done flawlessly in a brand new way. By flipping the camera around along with the action. Especially in the underwater action scenes, this was amazing, it gave the viewers a feeling of being immersed in the water as well as the heroes and villains. Besides Wilson playing the Ocean Master, there were two other side-villains that stole the show. Towards the beginning of the movie we see Aquaman leave a pirate who was stealing a submarine to die, this pirate’s son watched him die and blamed Aquaman for it. This lead to him becoming Black Manta, played by Yahya Abdul-Mateen II. Although Black Manta wasn’t the main villain, Abdul-Mateen gave an excellent performance leaving the audiences wanting more. Along with Black Manta, there was another villain hidden in the movie. The Kraken, although this character was computer generated imagery (CGI) the voice of the character should’ve sounded familiar to most. The gentle beast that guards the trident that controls the seas was voiced by none other than Julie Andrews. Although it is a mystery as to why such a talented actress was shafted into the role of the kraken who got maybe 10 minutes of screen time.